Winner of the Bronze Medal for Popular Fiction from the Independent Publishers Awards for excellence; and two Indie Awards for writing and design. A tragic train derailment, the dying words of one of its victims, a fabled ruby necklace, a strained childhood friendship, a turn-of-the-century attempted murder, a terrifying storm that washes a 150-year-old secret to the surface — all come together as part of a tangled, multi-generational mystery that eventually takes an entire town to decipher. When author Marti Healy moved to Aiken, South Carolina, she was immediately captivated by the town’s remarkable history, culture, kindness, and hospitality. She was also completely charmed by its people, houses, horses, and dogs. With great respect and affection, the author has created the fictional place of Selby, South Carolina – based a great deal on her real experiences and observations, but equally built out of pure imagination. With gentle wit, masterful descriptions, and well-crafted lyrical writing, the author takes us through all the seasons of her alter ego’s first year in Selby. 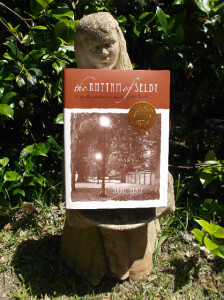 The reader soon discovers that Selby has its share of eccentric neighbors and family secrets – secrets that have haunted their caretakers for more than a century, and still whisper from their graves. A unique and compelling sense of place is created on every page. In fact, the town of Selby itself is, perhaps, one of the most important characters of the book. To enhance its sense of presence and beauty, the book features captivating photography throughout its pages. 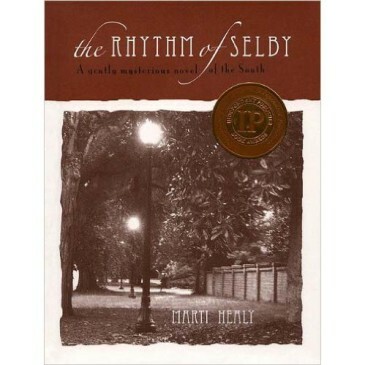 The reader is invited to proceed slowly: to savor all the moments, the sights, scents, sounds and experiences for oneself – to personally enter into The Rhythm of Selby.